Paul Humphreys + Andy McCluskey rock the suits; Andy wins. Where OMD carry forth from the point where they are now is still an unwritten potential future. With “English Electric,” the band were of the opinion that it could be their final album. It was not without reason that the album concluded with a track called “Final Song,” but OMD were known to be wracked with bouts of self-doubt. They ended their first album with “Pretending To See The Future;” a song outlining their ambivalence about their new job as musicians with a song shot through with cynicism and self-deprecation. It was not for nothing that they took their advance from Dindisc and built a recording studio with it instead of doing something more rash. Their thought at the time was that when it all ended [and they fully expected the end to come quickly] they would at least have a studio to show for it. Their best selling album, “Architecture + Morality,” concluded with “The Beginning + The End,” a delicate ballad that expressed their ambivalence about continuing forward as a band. At the time they wrote it they were not thinking about continuing further, but the 3,000,000 copies of “Architecture + Morality” sold convinced them to do otherwise. The pivotal experience for the band, which affects them to this day, was the huge inversion of sales that occurred as “Architecture + Morality” and the attendant sales + popularity cut off immediately as if a switch had been thrown upon the release of “Dazzle Ships.” That was the critical juncture where the band had an idea of enormous success and abject failure in a cheek-by-jowel fashion. The effect of such fortunes snapping their necks one way and yet another without so much as a eyeblink in between must have traumatized the band. It certainly forced them to retreat into survival mode; actively chasing the pop charts for the first time in their career. Until then, they had simply made music exploring any topics and themes that had appealed to them, only to watch them quickly maintain a lock on the charts for a full two year period. It may have come down to the synthetic elephant in the room, Gary Numan. 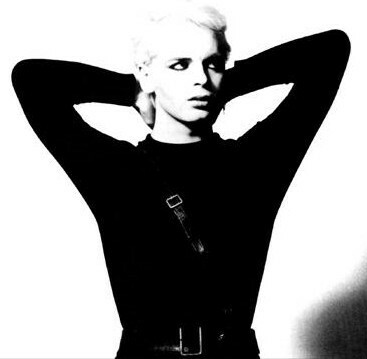 When Numan appeared, seemingly out of nowhere [to the general public] to spearhead popular synthesizer music in 1978, the halo effect around Numan served to make other bands using synthesizers very trendy and we saw labels signing anyone with a synth in the hopes of cashing in. Numan hand picked OMD to open up for his “Pleasure Principle” tour, citing them as the perfect band to split the bill with, presumably due to their synthetic palette. Following that tour, OMD released their third single, the re-recorded “Messages” from their first album and saw it hit the top ten in the UK. A place where their next four singles had a lock on as well. Though OMD rode in on electropop with the likes of “Messages” and “Enola Gay,” songs like “Souvenir” and “Joan Of Arc [Maid of Orleans]” were analogous to little else out there. In the case of the latter, it sounded more akin to military drum corps music with a Prog chaser. It not only didn’t sound like anything else in the 1982 British charts, it actually sounded like music from a pre-rock era. I maintain that the band may have rode in on Numan’s coattails, but their facility with imbuing abstract and esoteric thematic material with plenty of hooks and a memorable arrangement probably sold them to an audience beyond that of teenaged science geek Kraftwerk fans like myself – probably their ultimate target demographic. OMD sold bucketloads of what is actually a fairly esoteric album and discovered two years later that the pop audience is enormously fickle [and rarely stationary]. Following the “Dazzle Ships” failure in the marketplace, the band members, who had only recently moved out of their boyhood rooms, came to the quick understanding that if they didn’t seriously shift units again, they would be in a dire fiscal problem. With that they started actively aiming for an audience, instead of letting one find them. This meant writing love songs. Writing about relationships in the most common way possible. Writing about emotions instead of facts. In short, becoming a pop band. This was to their detriment as their cachet evaporated over the course of three albums that increasingly saw them trying to crack the US market. Because we have the largest pop audience in the world, the monetary reward is considerable if bands can actually manage to tap into it. Synthesizer pop was never much of a thing in America. Only freak malcontents like myself and my friends were OMD fans. The vast bulk of American music fans preferred the likes of Asia and Journey in the 1981/1982 market timeline. Against all odds, they actually managed to get a commercial foothold here with some of their weakest material ever. I suspect that they sweated bullets in the writing of material like “So In Love.” Then they signed on with satan, er… John Hughes, for the all important iconic movie tie-in hit single that the 80s were totally about. The band managed two Top 40 US followups to “If You Leave,” insuring that they would have some cachet going forward to keep them out of that “one-hit-wonder” ghetto. But it was significant that as soon as the band had gone into the black and repaid Virgin’s signing advance in 1988, following the release of their greatest hits album, that the band broke up with first Humphreys leaving due to the material they had been writing, with Martin Cooper and Malcolm Holmes following him out the door soon afterward. Obviously, the band were not enjoying this and had only persevered until their responsibilities were behind them before calling it a day. But these years of compromise would continue to resonate with the members for decades onward. This entry was posted in Core Collection, Rock GPA and tagged 2018, OMD. Bookmark the permalink. >>Synthesizer pop was never much of a thing in America. Only freak malcontents like myself and my friends were OMD fans.<< … and Numan, Kraftwerk, Tangerine Dream. Eno, Moebius, old Vangelis, Parsons. Yes, in fact, our demographic, if anything was openly maligned. The late 70's had anti-synth slogans, Queen put it on their album sleeves, eschewing the class of instrument in a broad stroke. And pre-programmed synth-like stage use ghosted ELO tour attendance. SatanicaHughes era did bring the cashflow liferaft, I suppose. I always liked Dazzle Ships and felt it half finished. It was exciting, like Bush's The Ninth Wave. Love your continuing back story reflections on the era. Bradley D Westervelt – Funny you should mention Queen. Their anti-synth stance was ironclad until 1980 – until their last US hit album, “The Game.” That one had two number one singles on it, but immediately afterward, their star dimmed considerably over here. Perhaps not coincidentally, the album was shot through with cheeze-whiz® synths of the lowest caliber. I recall an interview where a journalist asked them about that big volte-face and the band admitted that the real reason why they eschewed synths was that until 1980, was that they were difficult to program. No duh! For the US it is a question of authenticity. U2 is real, they RAWK, and they’re like, passionate but most of all they’re real. Like Foreigner, except that is Thomas Dolby that you’re hearing on a lot of the instruments. And Def Leppard, none of that fake sissy synth stuff. In NYC you could tell the synth kids from the rest of the New Wavers….a mix of geometric patterned t-shirts with gray trousers and either Converse All Stars or Chuck Taylors. We all showed up for acts from OMD to B-Movie, Numan to Our Daughter’s Wedding, Blancmange to Depeche Mode. We stood on the seats of the auditorium of Avery Fisher Hall and experienced a collective shudder when Ultravox took the stage. We knew each other’s faces and had an unspoken bond. We ignored all the derision and were happy in our synth bubble. The above is a bit of 35+ years later romanticizing, but it’s really not that far from the reality of the time – especially that bit about Ultravox at Lincoln Center. Echorich – Ultravox at Avery Fisher Hall. Serious envy. Don’t worry, ‘synth music derision’ was a thing here in the UK as well! I remember being derided for my musical taste by other kids in my class circa 1981…many were still in thrall to classic rock etc. Seems funny now. SimonH – Not really. This tribalism used to be a central part of maturation and the forging of our identity. It seems to have disappeared, at least as music is concerned. We now have people with what used to be paradoxically catholic tastes in music. Young people today think nothing of listening to music that is from almost any postwar era in a shuffle playlist. When I was 15, the notion of listening to music that was not as current as possible was almost unthinkable. Only Roxy Music, Bowie, and Eno had cachet in the rear view mirror of art. I can’t say that either approach is measurably superior; only that it was the way it rolled when I was growing up. I do recall feeling sad that in the early 90s I was no longer getting anything back from contemporary music. It still nags at me though I try to adopt new bands into my tastes. However, that was also the reason why I became the Post-Punk Monk; many years before I even had that name to adopt.